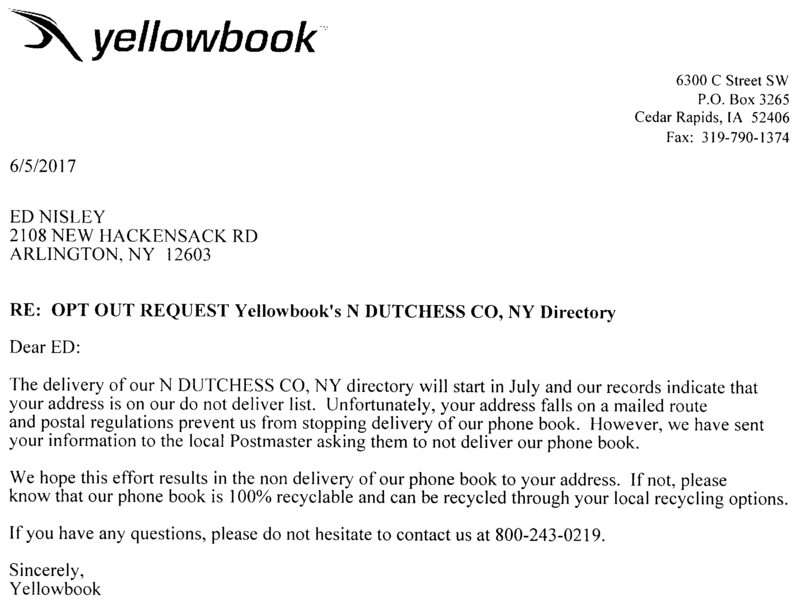 Last summer I followed the procedure that should turn off (one of) the ersatz “Yellow Pages” directories littering our driveway. Seeing as how they have the wrong town in my address, there’s still another excuse available. My guess: they’re paid by tonnage of books delivered and have a powerful incentive to continue delivering all of them, no matter what gets in the way. You absolutely cannot make this stuff up.